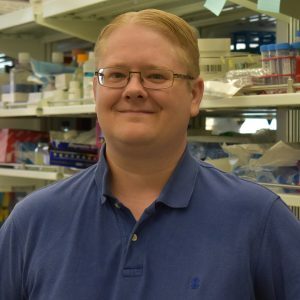 Research in the Ulland Lab is focused on gaining a deeper understanding of the mechanisms, including metabolic and transcriptional changes, which govern the innate immune response to Alzheimer’s disease. Ultimately the goal of our research is to inform the design of new therapeutic approaches to Alzheimer’s disease. Ulland TK, Song WM, Huang SChing-Chen, et al. “TREM2 Maintains Microglial Metabolic Fitness in Alzheimer’s Disease.” Cell. 2017;170(4):649-663.e13. Ulrich JD, Ulland TK, Mahan TE, et al. “ApoE facilitates the microglial response to amyloid plaque pathology.” J. Exp. Med.. 2018;215(4):1047-1058. Keren-Shaul H, Spinrad A, Weiner A, et al. “A Unique Microglia Type Associated with Restricting Development of Alzheimer’s Disease.” Cell. 2017;169(7):1276-1290.e17.